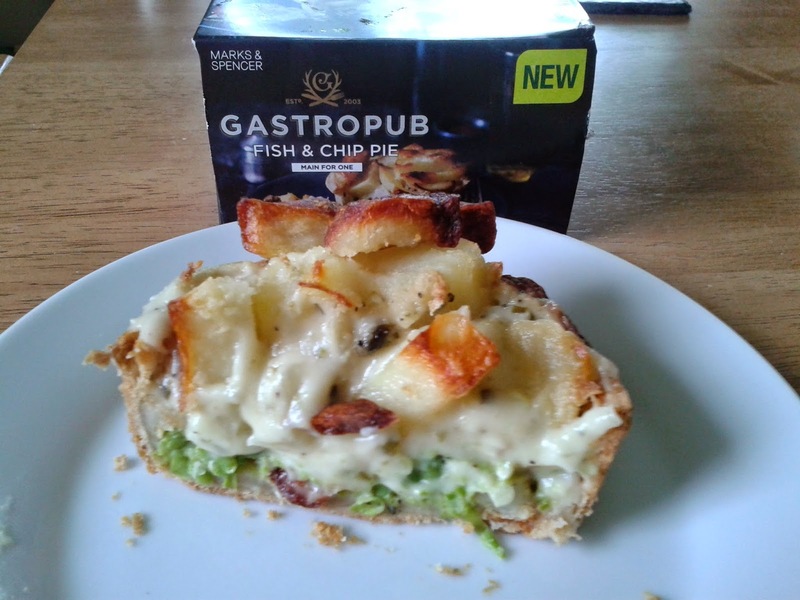 You may have seen in the news that Marks & Spencer have released a Fish & Chip pie. It has captured people's imagination to combine two British classics. I was pleased to finally find one of these on the shelves of my local Marks, it seems that they must be quite popular as I have found them in short supply. Let me remind you what this actually is, a shortcrust pastry sides and base filled with pea puree and cod in a tartare sauce topped with chips. A mouth watering prospect which in principle seems great, but you may be wondering if it is all just a big gimmick. Who better to answer that than the world's leading pie review blog (that is us by the way ^'_^). I will get straight to the point and say that I thought this pie was delicious, for the most part. There was ample, thick, creamy tartare sauce. The shortcrust pastry was crumbly on the outside and gooey in the middle, near on perfect. The fish was flaky and light. The pea puree was also a delight and a hundred times nicer than any I have ever had in a fish and chip shop. At first I though that there wasn't going to be enough fish but the balance between fish and peas seemed to work. They hadn't gone all out to replicate the fish and chip shop experience because no batter was involved in this pie. The chip lid was completely pointless, the chips somehow managed to be both burnt and raw at the same time. It would have certainly tasted much better if it had a pastry lid. Also, this meant that when I cut into the pie some filling burst out the top, if it had a pastry lid this would not have happened. It also means that it does not meet our definition of a pie because it is not fully encased in pastry. It is perhaps a pie of sorts or a close cousin of a pie but it certainly lacks what it takes to be a proper pie. Another aspect which made me think this is just a gimmick is that it is made from Cod rather than a more sustainable fish option, I thought Marks were very into their sustainable fish policy (however, I am sure this is relatively sustainable for cod, if that is possible). Overall I have decided that this pie is a gimmick, but at the same time it is a very tasty gimmick. I loved the filling and pastry, but it was let down by the unnecessary chip lid. If Marks did a version fully encased in pastry it would achieve a Pierate Recommended award for sure, despite a price of £3.50 for a relatively small pie (295g). However, as it is, I just didn't feel like I was eating a pie so didn't think it could merit a rating against the 7 C's as we normally do. It just didn't seem right without a pastry lid which I think is more important than pastry sides and base. But M&S do have a good range of proper pies, why have a look at our 'Have M&S Got the Pie Factor?' 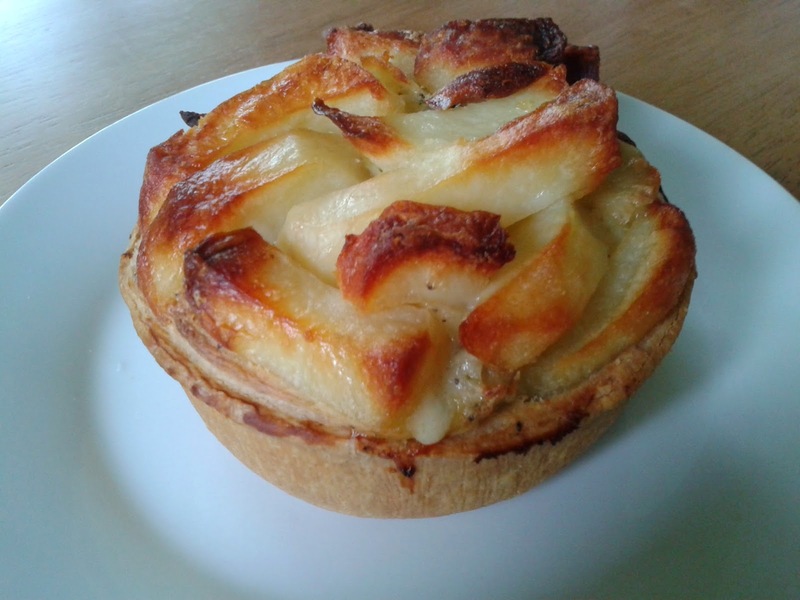 series to find out which are the best or why not look at our pie rankings to find a proper pie which includes other fish pie reviews?